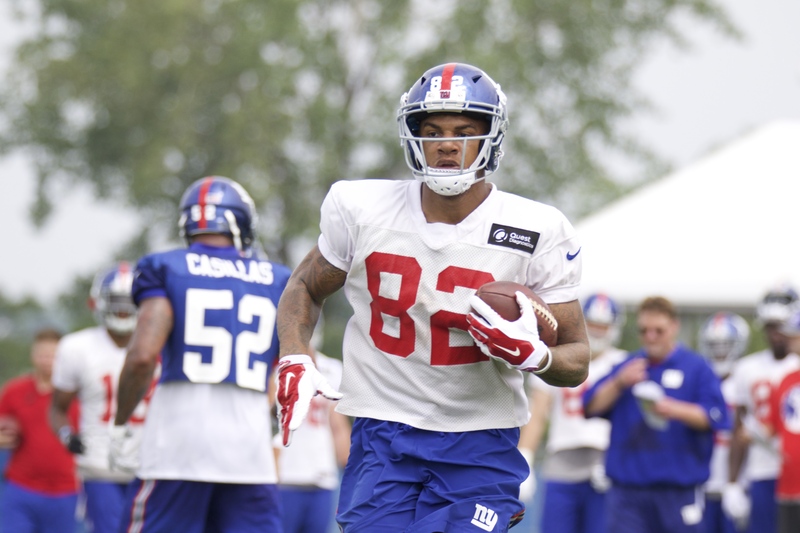 The Giants roster cuts on Saturday afternoon were not without a couple surprises. The primary surprise was running back Andre Williams. Williams was the Giants’ fourth-round draft choice in 2014 from Boston College and had a disappointing 2015 campaign. In 16 games played, Williams rushed for a paltry 257 yards on 88 carries (2.9 yards/carry ). Williams had slimmed down from last season and from time to time you could see a burst through the hole but he wasn’t able to show enough during the summer and the preseason to the coaching staff to warrant another season. The Giants are now carrying 5 running backs but are without a fullback as Nikita Whitlock was waived. They are also lacking a strong blocking tight end as Will Johnson was placed on injured reserve and the remaining tight ends are not very proficient blockers. The second player of note that was waived was wide receiver Geremy Davis. Davis was a 6th round draft choice in 2015 from Connecticut. He started off the summer looking good but was recently hampered by a hamstring injury. The injury limited his reps and once he returned he wasn’t able to make an impact and prove to the team that he had more to offer than Tavarres King or Roger Lewis Jr. The Giants may also still be looking to improve their offensive line which struggled throughout the preseason, so expect them to be watching which players become available as teams make their cuts. There are currently 8 linebackers now on the roster which may change if they pick up an offensive lineman in the next couple of days. The regular season is almost here and the Giants 53 man roster is nearly set. With just one week away from their season opener in Dallas, the Giants’ preparations and game planning begins.